Investec established in South Africa in 1974, they have grown to become a truly international financial organisation with offices in 5 continents and total client assets under their management that now exceed £160 billion. Although an international firm with more than 10,000 staff, Investec has become a popular choice with UK investors, and currently, their range of 47 funds holds more than £28 billion of assets on behalf of their clients in the UK. To identify how competitive their funds have performed we analysed the recent 1, 3 & 5-year growth and sector ranking for each of the 47 Investec funds that are currently available to UK investors. 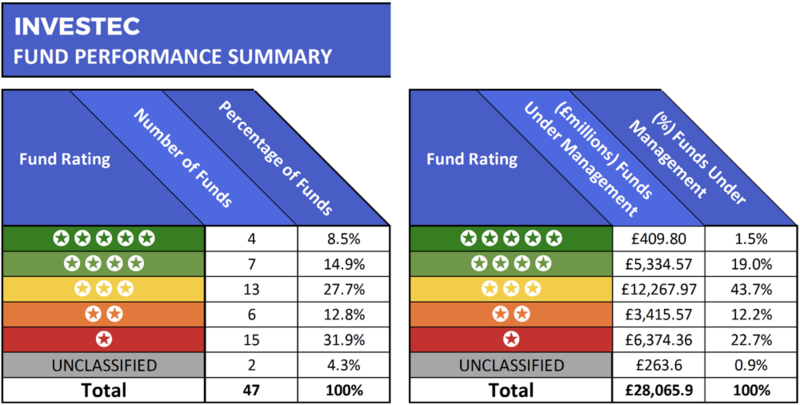 As detailed in this report, our analysis found that 4 of the 47 funds analysed received an excellent 5-star performance rating with a further 7 receiving a strong 4-star rating. However, more than 44% of the Investec funds we analysed have performed worse than at least half of all other funds in the same sectors during the recent 5-year period. This analysis provides an insight into the performance of 47 funds that are managed by Investec. On display is the last 1, 3 & 5-year cumulative growth figures for each fund up to 1st September 2018. Each fund has been provided with a performance ranking between 1 and 5-stars based on well they compared alongside all other competing same sector funds over the periods analysed. One of the top performing Investec funds was their American fund, which currently holds a modest £165 million of client assets. Despite investment in this fund being relatively small, it has consistently outperformed the majority of its peers in the very competitive IA North America sector. Over the recent 1, 3 & 5-year period this fund returned cumulative growth of 21.25%, 103.12% and 133.79% respectively. In contrast, the sector average for the same period was 18.39%, 82.63%, and 113.2%. The Investec Global Special Situations fund is yet another one of their funds that has mostly been overlooked by investors and advisers. Currently, this fund manages just under £70 million, which in asset management terms is peanuts. In contrast, the popular Hargreaves Lansdown Multi-Manager Special Situations fund, which sits within the same sector, has attracted more than £1.8 billion of client assets. However, when analysed for performance this fund has returned growth of 6.31%, 46.34%, and 72.03% over the recent 1, 3 & 5-year periods, which is significantly lower than the Investec Global Special Situations fund which over the same period returned growth of 14.19%, 79.55%, and 105.57%. Another Investec fund that has impressed is their relatively new UK Equity Income fund.  Launched in January 2015, this fund is managed by Blake Hutchins, and it sits within the IA UK Equity Income sector. Since its launch, this young fund has continually performed better than the majority of its peers. Over the recent 12-months it returned growth of 6.81%, which was better than 83% of funds in the same sector, and over 3-years its growth of 41.89% was better than 92% of same sector funds. The largest proportion of client assets managed by Investec (43.7%) are held within their funds that have a mediocre 3-star performance rating. The largest of which was their Asian Equity offshore fund which currently holds some £4 billion of client assets. This funds 3-star rating is more a result of it having less than five years history rather than how it has performed, as over the recent 3-year period it has returned growth of 92.89%, which ranked 16th out of 151 funds in the traditionally volatile Asia Pacific ex Japan sector. However, its performance over the recent 12 months has not been as impressive as its growth of 1.53% was lower than 41% of competing same sector funds. Another fund managed by Investec that has attracted substantial investment is the Investec UK Alpha fund. This popular fund currently holds some £2.1 billion of client assets, and it sits within the competitive IA UK All Companies sector alongside over 200 competing funds with similar objectives. When compared alongside these funds the Investec UK Alpha fund returned growth of 64.42% over the recent 5-year period, which was better than 84% of its peers. However, over the past 1 & 3-year periods its returns, on average, were worse than 62% of competing funds. 21 of the 47 Investec funds analysed received a poor 1 or 2-star performance rating as they have each consistently performed worse than their peers. The largest of their funds to perform poorly was the Investec Diversified Growth fund, which currently holds some £2 billion of client assets. This fund has consistently underperformed, and over the recent 12 months, it returned negative growth of -1.26%, which was worse than 98% of all other funds in the same sector. Over 5-years it hasn’t fared much better as its cumulative 5-year growth of 19.57% was well below the sector average of 32.46% and worse than 96% of its peers. Another Investec fund that has been popular with UK investors was their UK Special Situations fund, which is 1 of 229 funds in the IA UK All Companies sector that has at least 5-years performance history. However, despite proving a favourite with investors and financial advisers, this fund ranked 206th out of 229 funds with disappointing 5-year growth of 32.14%, which was well below the sector average of 49.25%. In contrast, the 5-star rated ‘Slater Recovery’ fund, which has consistently been among the best performing funds in the IA UK All Companies sector, returned growth of 102.76% over the same 5-year period. One of the most disappointing funds managed by Investec has been their Target Return Bond. This Fund invests around the world primarily in a wide range of bonds, as it aims to produce a positive return above overnight GBP LIBOR over rolling 3-year periods regardless of market conditions. Despite Investec’s objectives for this fund, it has consistently lost money for its investors. Over the recent 1, 3 & 5-year periods it returned negative growth of -5.51%, -4.99% and -4.91%. Should You Invest With Investec? Our analysis of Investec funds identified that 44.7% receive a poor 1 or 2-star rating as they have struggled to deliver competitive returns consistently. However, Investec has also delivered comparatively strong returns from a number of their funds, particularly their American, Asia Pacific and Global funds, which indicates a level of expertise in such markets. Indeed, a proportion of the funds managed by Investec have consistently delivered excellent returns, and they continue to offer investors highly competitive investment opportunities.